Goose, Could you call me at 850-274-2237? I would like to talk with you about your 2004. Also, are you coming to Tallahassee any time in the near future? Please delete my ad as I have sold the car. 2008 red GT500 convertible. I have a crazy question to ask. I’m looking to purchase a short block from a guy in Texas, it weighs roughly 220 lbs. what would be the best way for me to have it shipped to New York?I’m getting quotes and every body is just so expensive. Figured you were the best person to ask LOL. Hey Goose, One of my friends on the BOSS forum made a post looking to buy a 2000 Cobra R and I thought of you. Below is a link to the thread. Not sure if the link will work or not. If it doesn't, I can get his email if it's something you would be interested in. Looks like he would like to trade away his 2016 GT350 on the Cobra. He just got a 17 350R so I guess the 16 is surplus. I've been admiring your blue GT500 in the pic you posted on your signature. I'm wondering about the SHELBY lettering on the back of the trunk. Did you put those on like that or did they come that way from the factory? The spacing on them looks different than what you get if you use the template that's available online. what product did you use on your garage floor? is there a thread on this? Damn, i just sold my oem mufflers a week or 2 ago, would have helped you out. 07:48 PM - Goose17 mentioned meterman in post Re: What'd you do today? 09:29 PM - 2008GT500 mentioned Goose17 in post Re: Garage is clean! 07:56 PM - Goose17 mentioned Catmonkey in post Re: SHELBYFEST 2019...Yep, it's coming! 11:50 AM - Goose17 mentioned SuziQ in post Re: SHELBYFEST 2019...Yep, it's coming! 11:38 AM - Goose17 mentioned OMB in post Re: Side shot Saturday! Let’s see whatcha got! 08:12 AM - Frenchusa mentioned Goose17 in post Re: 2020 GT500 leaked? 03:04 PM - Goose17 mentioned 'cause in post Re: Motor Monday! Let’s see whatcha got! 09:41 AM - Goose17 mentioned Mctag in post Re: What'd you do today? 06:05 AM - Frenchusa quoted Goose17 in post Re: What'd you do today? 06:44 PM - 'cause quoted Goose17 in post Re: Wheel Wednesday! Let’s see whatcha got! 05:18 PM - 'cause quoted Goose17 in post Re: Wheel Wednesday! Let’s see whatcha got! 05:16 PM - OMB quoted Goose17 in post Re: What'd you do today? 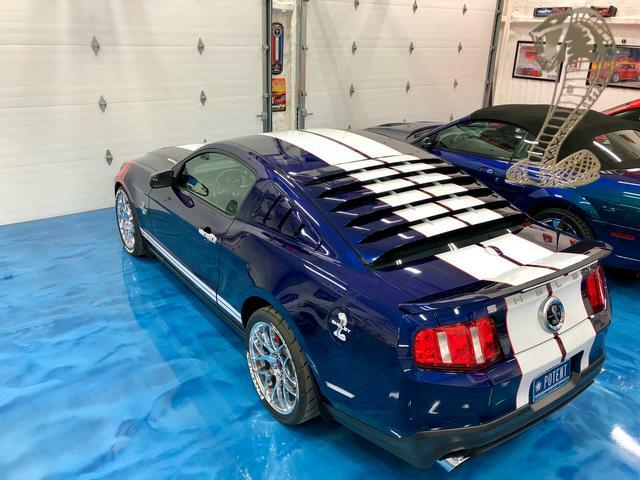 07:29 PM - fletchffletch quoted Goose17 in post Re: 2020 GT500 leaked? 07:44 PM - 'cause quoted Goose17 in post Re: Tax deadline today! 07:05 PM - ihaterice quoted Goose17 in post Re: Tax deadline today! 06:57 PM - ihaterice quoted Goose17 in post Re: EcoBoost Mustang getting a boost! 06:22 PM - 'cause quoted Goose17 in post Re: Tax deadline today! 05:56 PM - 'cause quoted Goose17 in post Re: Motor Monday! Let’s see whatcha got! 11:44 AM - Frenchusa quoted Goose17 in post Re: 2020 GT500 leaked? 11:37 AM - Frenchusa quoted Goose17 in post Re: 2020 GT500 leaked? 10:52 AM - fletchffletch quoted Goose17 in post Re: Tax deadline today! 07:30 AM - Mctag quoted Goose17 in post 2020 GT500 leaked? 06:54 AM - jamessmith99 quoted Goose17 in post Re: ‘68 GT500 barn find up for auction.